Transformations can be tricky. Obstacles are inevitable, but not insurmountable. Learn how to bypass potential pitfalls and achieve your goals with these 7 tips! Physical transformation is no easy feat. From Tupperware-packed meals to early morning workouts, successful transformation requires planning and execution. However, even with the details dialed, meal prep and good intentions won&apos;t get you out the door. You need motivation to put your plans into action. If you&apos;re like most people, the "can do" attitude of week one won&apos;t necessarily carry through to week 12. So, how do you turn a discouraging bump down the road into a motivational push? If you&apos;ve ever fallen off the transformation bandwagon and lost hope on the path to a brand new you, it&apos;s time to solidify some techniques to help you nail success. Here are seven foolproof tips, including some pro suggestions from the athletes of Cellucor, that are guaranteed to keep you pumped for the entire transformation process. Step before you leap! One of the biggest mistakes people make is placing all their focus on a long-term goal instead of looking at short-term milestones. Why? Because focusing on the big picture alone can get frustrating and derail your success. "It&apos;s great to have a big picture in mind," Cellucor athlete Craig Capurso explains, "but many people get discouraged when they don&apos;t see their year-long goal physique materialize in a matter of weeks." By focusing on more immediate and measurable goals—like getting stronger every week, or losing a small amount of weight in two weeks—you can keep your focus laser sharp. Completing and setting micro goals will help you reach your long-term goal without even realizing it. You&apos;ll hit the finish line with more accomplishments in what seems like a shorter timeframe. Sometimes, you need to break things down even further. 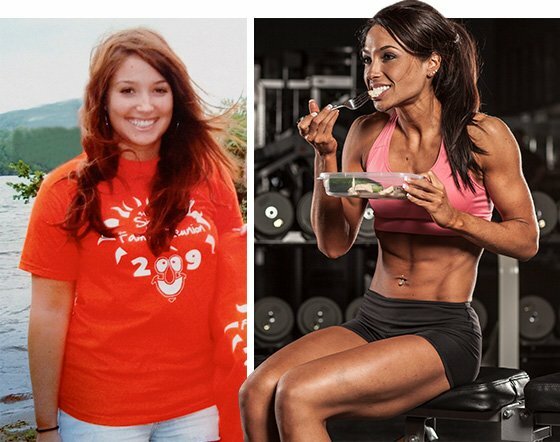 Jen Jewell, who completed her own transformation by losing 45 pounds and dropping her body fat by 21 percent, made just one small change at a time. For example, swap in one old habit for a healthier alternative. Not sure where to start? Think simple and straightforward. 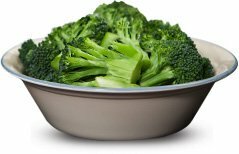 "It could be something as simple as eating an extra serving of veggies, packing your gym bag the night before your workout, or adding an extra five minutes of cardio to your training sessions," Jen explains. Jen brought gym clothes to work during her own transformation so she could hit the gym after work without stopping at home first. "When you go home, it&apos;s too easy to sit down, relax a bit, and make excuses about why you should just hit the gym tomorrow," she says. By omitting the middle man, Jen significantly increased her gym attendance—key point in any transformation. As you set, crush, and surpass your micro and super-micro goals, remember to make time to celebrate each and every achievement. Don&apos;t consider yourself a failure if you don&apos;t reach your transformation goal by the set end date. Keep the big picture in mind and remember the importance of the word "progress." Have you increased your effort in the gym? Has your one-rep deadlift max gone up? If you&apos;re in a better place than when you started, you&apos;re transforming. Just like strikes in baseball, small failures in life are inevitable, but you still have to keep swinging. One failure isn&apos;t grounds for quitting. Swing again and keep the game going. Remember, every positive change you make is a step in the right direction. Do everything in your power to banish self-doubt. As Jen Jewell says, "Know that you&apos;re capable of far more than you think." If you work hard and stay dedicated, you&apos;ll accomplish what you set out to do. If you&apos;re riddled with self-doubt and negative self-talk on a daily basis, set aside some time to get to the root of the issue. Are you letting one bad experience fuel your sense of failure? Is someone&apos;s discouraging comment dragging you down? Start questioning whether your doubts are actually valid. Often, when you really start to think about it, you&apos;ll realize you&apos;ve confirmed negative thoughts that aren&apos;t even true. That&apos;s also when you realize that you have the power to overcome them. Karina Baymiller, who lost 50 pounds during her initial transformation, points out the importance of undergoing a maintainable lifestyle change rather than adopting an all-or-nothing attitude. "We expect so much from ourselves that we move away from a lifestyle of eating right and training into an all-or-nothing diet and exercise program," she says. "This is the mindset that many people get stuck in. They eat one cupcake and think &apos;I screwed up today, so I may as well eat 30.&apos; That&apos;s when failure happens." Remember that creating, implementing, and building on healthy habits happens slowly. Allow for weekly cheat meals, don&apos;t beat yourself up for occasional slip-ups, and don&apos;t try to sprint an entire marathon. Build up your fitness endurance slowly and surely. The past is in the past. There&apos;s no going back to change it. If you made a mistake yesterday, indulged in something you shouldn&apos;t have, or skipped the gym, that doesn&apos;t mean that you can&apos;t do better tomorrow. Don&apos;t let yesterday&apos;s failure bog you down today. Live in the moment, and put forward 100 percent effort. If you live in the past, you&apos;ll let it influence the choices you make today and tomorrow, which can render you powerless to create change. Think of each day as a fresh start to do exactly what you need to do to reach your short and long-term goals. While you may not be able to control everything, you do control how you let situations impact you. The best way to foolproof your transformation is to go in as prepared as possible. If you don&apos;t take the time to prepare for each day, you&apos;re inviting unhealthy choices. 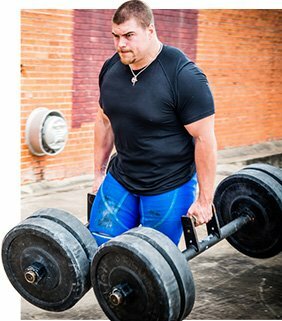 Just ask Colton Leonard, former football player, bodybuilder, and current strongman: "Shortcuts don&apos;t work," he explains. "Take some time out of today to prepare for tomorrow, whether that means packaging your meals or organizing your schedule to make time for the gym. You must plan ahead to reach your goals." Start scheduling your workouts just like you would a doctor&apos;s appointment, and never leave home without some type of healthy snack. You never know when you may get stuck in a meeting, get caught in traffic, or otherwise get stuck without nearby healthy choices. Prepare for obstacles so that, when they do appear, you can overcome them with ease.